When a serving ambassador writes a book, it reflects not only an individual’s observations, but also mirrors the larger thought of the government or the country that he represents. Shaida Mohammad Abdali, the Afghan ambassador in India, is a rare breed of a diplomat, who has tried to delve into topical issues affecting South Asia. His book, Afghanistan-Pakistan-India: A Paradigm Shift, is an attempt to enter the terrain which occupies the mind space of many. However, not many understand the trajectories of the territory. The book comes at a time when tensions between India and Pakistan are high. Both countries are also engaged in a bitter war of words aimed at catering to their respective constituencies, rather than addressing the larger economic and political issue that currently plagues the subcontinent. Indians mostly see the conflict between New Delhi and Islamabad as a bilateral affair, but not much thought goes into discussion that the rivalry between the two neighbours in fact impacts Afghanistan to a great extent. It injects instability in the landlocked nation, thereby making the whole region volatile. This paradigm shift is all the more important at a time when Afghanistan is at a crucial stage of transition – foreign troops are leaving the country and the conflict between the government and the Taliban is deepening. At this pivotal moment, the book argues that the cooperation between the traditional enemies in South Asia will reduce instability in Afghanistan. It has been 15 years since the Islamic country got rid of the Taliban; nonetheless, the country is nowhere close to the stability it had envisioned when international troops overthrew the Taliban regime in 2001. The book lists four important factors for the persisting instability in Kabul. 4. The rapid growth of poppy cultivation. In the book, Pakistan comes under harsh criticism for its ‘strategic depth’ policy in Afghanistan since the 80s. Be it Pakistan’s role in the resistance movement against the Soviets, its policy during the internal fights between the Mujahideens after Russian withdrawal, or its intervention in the post-Taliban phase, the book blames Islamabad for creating havoc in Afghanistan. The relationship between the two neighbours hasn’t been smooth since the creation of Pakistan in 1947. The Afghan government opposed Pakistan’s admission into the United Nations in the 40s. Both the neighbours were on opposing sides of the Cold War, as Islamabad took up arms with the US and Kabul supported the Soviets. One prominent sore point was India’s proximity with Afghanistan, which Pakistan has always felt insecure about. One of the reasons why Rawalpindi has always wanted a friendly relationship with Kabul is to have a greater say in the landlocked country via a via New Delhi. But now, India seems to be shaking off its traditional reticence in Afghanistan as far as civilian and military engagements are concerned. If the news reports are to be believed, then New Delhi is preparing itself for a deeper military engagement in the landlocked country. On the heels of supplying four military helicopters to its traditional friend, the government in Delhi is thinking of giving lethal arms to Kabul in order to deal with the deteriorating security situation in the country. This new geopolitical posture in the region has active encouragement from the US. With India becoming a close strategic ally of Washington and with the South Asian republic agreeing (in principle) to signing a logistic support agreement with the US, the geopolitical dynamics in South Asia are on the verge of undergoing a change. Those days are not far when western countries will use bases in India to launch military offenses in Hindukush. Will Pakistan be able to reconcile this Indo-US entente in the subcontinent? 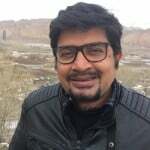 How will the China-Pakistan axis play out in Afghanistan with Beijing positioning itself as a major stakeholder in Afghanistan? How will this new game impact Afghanistan? These are questions that trouble the war torn country. With the Hindu right-wing regime in Delhi indulging in jingoistic rhetoric when dealing with its Islamic neighbour, it’s only natural that this growing animosity will also play out in Afghanistan. In his book, Abdali doesn’t delve much into the changing geopolitical dynamic. However, he does believe that his country can act as a catalyst through a reconciliation process between the two bitter neighbours. Not many in South Asia write a book on Afghanistan whilst keeping in mind India and Pakistan. In India, the debate about the repercussions of Indo-Pak tensions in Afghanistan is almost mute. The popular narrative is that Pakistan is the only destabilising element in the Hindukush and India is innocent. A new breed of right-wing experts have gained prominence in recent times which advocate not only civilian, but also military engagement in Kabul, to counter Pakistan’s strategic assets in the landlocked nation. It would be prudent on New Delhi’s part to assess the repercussions of military engagements in Afghanistan. No country has come out unscathed from Afghanistan. India has earned good will and international recognition from its soft diplomacy. But will involvement in security serve India’s larger interest? We expose our domestic vulnerabilities by abdicating our traditional soft diplomacy. 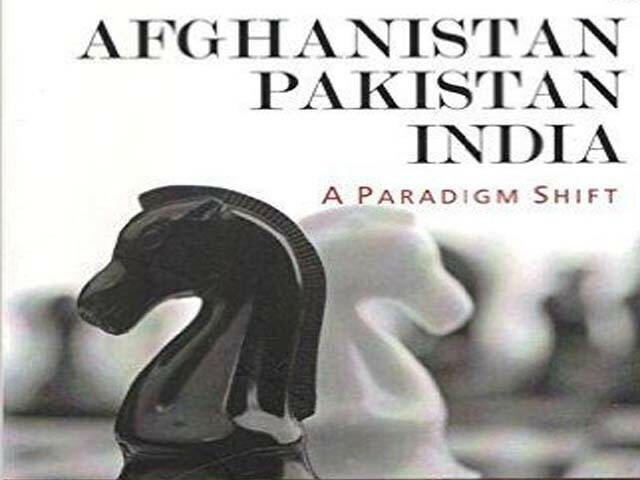 The book Afghanistan-Pakistan-India: A Paradigm Shift gives a comprehensive picture of a potential collaboration between the three nations, while also presenting the perils of internal fights between the three prominent nations of South Asia. Pakistanis are most hated nationality in Afghanistan, that is throught. Pakistan have only one option, send all Afghan back to teir country, seal the Pak-Afghan border, close Pak embassy in Afghanistan and send Afghan ambassador back to Afghanistan. Fence the border. Afghan political elite that is in power has a credibility problem. Pakistanis do not trust them. Everyone seems to be critical of Pakistan’s “strategic depth” idea which has not even seen the light of day. Yet India is trying to achieve its own “strategic depth” in Afghanistan. If the above extracts from the book are anything to go by, it seems the book is unlikely to be anything but a promotion of the India-dominant anti-PK views. Somehow the authors of his breed find ways to twist things to their suitability. Pakistan decided to breed terrorists to use as “strategic assets” against Aghanistan and India – must be India’s fault! Pakistan decided to attack India multiple times – must be India’s fault! Pakistan has the fastest production of nuclear weapons in the world, and has a nuclear weapon stockpile which is already higher than India’s – yet India is the reason for a nuclear arms race in the subcontinent! Just yesterday there was an article on ET that said India left red-faced when a UN tribunal dismissed 3 addresses out of 9. Conveniently the article forgot to mention 6 addresses were found to be probable places of Dawood Ibrahim’s stay. In a normal world, any sane person would see which country this incident has embarassed. But in the Denialistan, things present a rosy picture which may not necessarily reflect reality. ‘wb’, you are writing under ‘Feroze’ now? its Afghanistan collusion with RAW that is destabilizing the region. had Afghanistan been in the middle, its concerns would have been valid. after so much beating over the last decades, afghans still haven’t learnt to behave. ignoring support given by Pakistan during Russian invasion, taking in 25 million refugees at enormous consequences to Pakistan and then helping in rehabilitation. Afghan rulers and there families, many of them would have perished had they not found safe sanctuaries in Pakistan. Well,, see, Saudia paid and US supplied the guns, to train the Afghans. to fight the Russians, who invaded their country. to reach a warm water port. Gawadar. At that time and even NOW Russians do not have warm water ports. Anywhere. So, the Russians, they failed miserably. Russians are like Punjabis,…self centered, provincial, and not well educated. Bugti lives in Switzerland not India. So what do you mean harbored in India? India has so far never financed Baloch freedom fighters but if Pakistan continues its policy of using non-state actors against India, it should review its policy. Mate I was referring to Pakistan not my Motherland AFGHANISTAN, I will not compare whole Pakistan with messy toilet in Afghanistan. When it comes to good relation you better go and lecture your own politicians to have normal relation with their neighbour cause except china who you are milking there is no neighbouring country that is happy with you guys or has at least normal relation. The ones who apply for social benefits are merely Afghans, we are not a country of 180 million and any hosting country can afford to provide a merely 1000 refugees with jobs. We have mentioned in the past and will mention again that there are scores of Pakistanis who have sought asylum pretending to be Afghans. A good example is the terrorist who went on rampage in a train in Germany, there are scores of Pakistanis who can’t talk even Pashtu and claim to be from Kandahar or Helmand or Jalabaad. You can find heaps of them in Australia where they came by boat and abusing the social benefits.. there are documentaries about the false claims they have made – too late to return them to their pakland! Those Afghans who stay in Khyber Pakhtunkhwa and prefer to stay there is not because they think they are refugees, rather they believe the Durand line is just a line. ha ha ha ha… warm water port — Gawadar… No they did don’t need any port.. like all pakistanis you think world is after you because you have something people want.. No you have nothing that people want.. NOTHING..
Look at the traffic from your stupidity called warm water port.. Almost nothing lands there.. The port has been in operation for more that 9 YEARS (was completed in 2007). Two of the companies have already left the operations (Singaporean and Pakistani) now handed over to Chinese..